Venetia Lovell lives by the sea in Kent with her pretty, frivolous mother and idle younger brother. Her father, Theo, is an interior decorator to the rich, and frequently travels away from home, leaving his sensible and artistic daughter to look after the family. Venetia designs paper hangings and she and her father often daydream about having an imaginary shop where they display the highest quality furniture, fabrics and art to his clients. When a handsome but antagonistic stranger, Jack Chamberlaine, arrives at the Lovell’s cottage just before Christmas bringing terrible news, Venetia’s world is turned upside down and the family have no option but to move to London, to the House in Quill Court, and begin a new life. Here, Venetia’s courage and creativity are tested to breaking point, and she discovers a love far greater than she could have ever imagined. . . I am a big fan of Charlotte Betts’ work, she writes imaginative, clever and very well researched book’s that you do find yourself not being able to put down, and this one doesn’t disappoint you have charming and intriguing character’s a storyline that draws your attention, liberally mixed with a story of loss and desperation and a family’s fight for survival and the wit and courage of its heroine who against all odds doesn’t back down and she fights for what she believes in. I like the hit and miss relationship between Venetia and Jack; a wounded soldier, through a lot of the book he is divided as to how he feels for her one minute we have the beautiful scene in the shop where they are getting close and nearly kiss and the next he gives her the cold shoulder and calls her a thief and a gold digger, but the fact is even when they dislike each other intensely you can see that spark and that is the absolute beauty of Betts writing, you know what the character’s are thinking and feeling even though it’s not on the page and that is a gift that not a lot of writers has. A slight tremor ran down her back, as if it being stroked with a feather. A few months ago she would never have believed that Jack would look at her with such warmth and had pushed aside even the tiniest acknowledgment of how very attractive she found him. But those thoughts were becoming harder to deny. Slowly she extended her fingers and he embraced them in a warm embrace. She looked at their clasped hands, her own small and white and his brown and strong, and something inside her shifted. Looking up she met Jack’s gaze and watched his smile fade. “Venetia?” His voice was husky. She moistened her lips still looking at him. The other day she’d thought she’d detected a glimmer of interest in his eyes, it had been swiftly veiled, but she was sure of it. He lifted a finger towards her cheek. . .
Another aspect of Betts work is that the story doesn’t just focus on the lead hero and heroine, you get a look into the lives of the ordinary people, I especially like the maid Kitty, she is this naive young country girl who has so many ideas and the bright lights and equally bright rakes claim her attention. She get’s in way over her head but like our heroine Venetia she is a fighter and there is some very lovely moment’s between her and her and Nat; a thief that has a good heart. Like all of Betts over work The House on Quill Court brings to attention the seedier and murkier side of the period, her work isn’t all fluffy and light there is a bit of grit in there that you can get your teeth into. This time we come face to face with the London underworld, and we are introduced to some horrible and evil characters, and the evil kingpins of London are not always who you would expect. All in all I really like The House on Quill Court as I do all of Charlotte Betts work, I think that there is something for everyone in this book, and I definitely recommend this book it is definitely worth a go. This entry was posted in Historical Romance, Reviews and tagged Charlotte Betts, Historical Romance, Review, The House In Quill Court. I wasn’t able to do a Friday’s Fabulous Five as I haven’t been well for a few day’s but i’m not going to not do my list so here is the Saturday’s Super Six and in honour of all the brave and proud Frenchmen and woman the theme is ~ All Thing’s French! 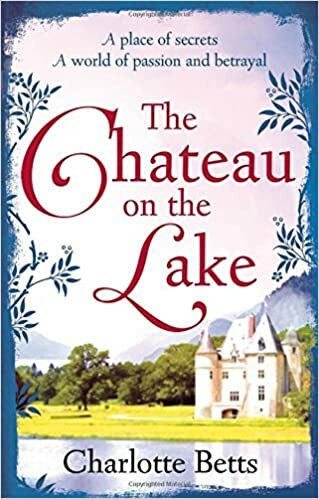 After her English mother and French father are brutally murdered, bluestocking Madeleine Moreau travels to France in 1792 in search of relatives she hadn’t known existed. When France declares war on England it becomes unsafe to return and Comte Etienne d’Aubery offers her shelter in his chateau. Impulsive and sometimes self-opinionated, Madeleine favours the people’s revolution in France but her views are shaken after she witnesses Louis XVI’s death by the guillotine.The revolution gathers momentum and as passions of the populace are enflamed, Madeleine sets off on a dangerous race against time to save the man she loves. But even as she’s falling for the joie de vivre of Paris, someone’s conspiring to sabotage her big break. 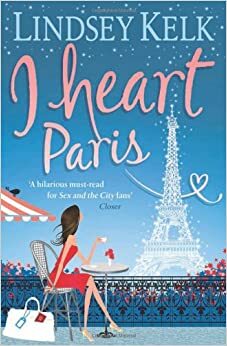 And when she spots Alex having a tête-à-tête with his ex in a local bar, Angela’s dreams of Parisian passion all start crashing down around her. Three Secret’s, Two Women, One Grail. . .
Henriette d’Entragues isn’t satisfied with simply being the mistress of Henry IV of France; she wants a crown too. Despite his promises to marry her, the King is obliged by political necessity to ally himself with a rich Italian princess. But Henriette isn’t one for giving up easily. All she has to do to achieve her ambition is to give Henry a son, and then do whatever it takes to set him on the throne . . . 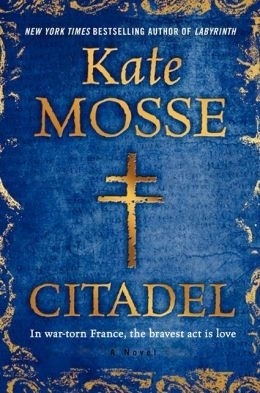 This entry was posted in Uncategorized and tagged Charlotte Betts, Contemporary, France, Freda Lightfoot, Historical, Historical Romance, I Heart Series, Kate Mosse, Lucie Hart, The Lanquedoc Trilogy, WW2 Fiction.